The annual conference for all things OS/2 related, as well as various open source topics will be held this year in Orlando, Florida, USA November 4-6. For more details, follow the link below. Lewis Rosenthal, one of the principals of Rosenthal & Rosenthal and Arca Noae, LLC – an OS/2-focused software development house and consultancy – also the Warpstock Treasurer, will again be one of the speakers at this year’s event, as will several others form Arca Noae, to talk about the much-anticipated OS/2-based Blue Lion release.Warpstock could not be more exciting with new developments for the platform coming every week in 2016. Arca Noae’s graphical package management utility, Arca Noae Package Manager, debuted January 1, and has proven itself to be a resounding success, helping OS/2 users enjoy newly-ported applications as well as updates to other system components necessary to maintain efficient operation and safe online access. Expect a number of sessions at this year’s Warpstock to center around Blue Lion content and deployment, contrasting Blue Lion with eComStation, and showing how Blue Lion can keep existing large scale OS/2 deployments viable on new hardware. 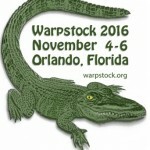 Rosenthal & Rosenthal is thrilled to be involved with Warpstock, and looking forward to this year’s event in sunny Orlando. Registration fees remain in line with recent years, and there are steep early bird discounts available. Warpstock negotiated a fantastic rate with the Country Inn & Suites Orlando Airport, the site of this year’s conference, and coupled with some aggressive airline fares, this year promises to be a real value in tech events.